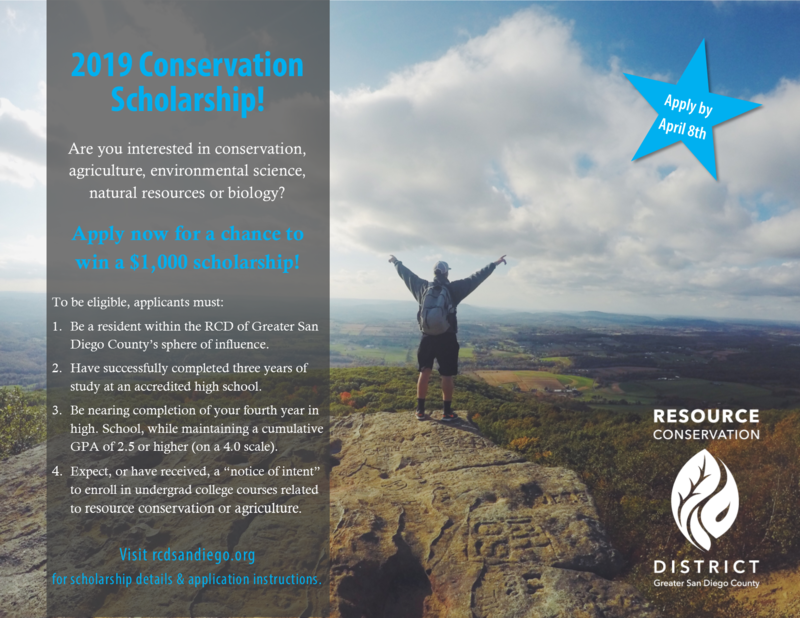 The RCD Conservation Scholarship is an annual scholarship program for graduating high school seniors pursuing further education in the fields of resource conservation, environmental sciences, biology or agriculture. Up to seven scholarships of $1,000 are awarded each year! Click here for all information regarding eligibility and scoring. Applications are now live and will be due by 5 pm Monday, April 8th.